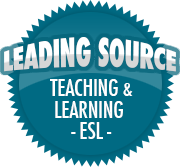 Bullying | So, You Think You Can Teach ESL? Give Me Your Lunch Money! I’ve written about bullying before here, here, and here, but it’s a topic that comes up frequently in school. Recently where I work, my co-teachers and I discovered a bad case of bullying happening in one of our classes. It’s sad to see it happening. We are devising a plan to combat the situation and protect the students, advise the children involved, and notify and deal with the parents. It’s such a tricky situation, too. I hope we can resolve the situation swiftly and effectively. The word “bullying” has been thrown around a lot lately within education circles, and it’s important to clearly define what “bullying” is. It’s more than just a fight or disliking someone. Cyber bullying – This is when someone uses technology to spread lies, harmful photos, or name calling via social media or in chat rooms. What Can I Do To Stop It? Bullying often happens in areas where there is little to no supervision: classrooms during a break time where there are no teachers present, on the playground, in an area outside of school, or even at home via online social media. Thankfully there are several great websites and other resources to help teachers, parents, and other caregivers spot and positively react to bullying. I’ll briefly share a few below. Manage classrooms to prevent bullying – Develop rules for students to follow with a clear set of guidelines and consequences appropriate for each infraction. Be sure to follow-up after the consequence so the students understand why. Stop bullying on the spot – Intervene immediately! It’s OK to call for back-up if the situation needs it. Make sure to talk to the students involved privately after class. Find out what happened – Get the facts from all sides involved, but talk to each student separately. Listen to each side without blaming until all is made clear. Support the victim – It’s important that teachers support and care for the victims of bullies. They have to know we are on their side. You can read more about these tips here. Other sites such as StopBullying.gov has tips you can read here. The APA (American Psychological Association) also has information here. Do not confuse bullying with conflict. Bullying is a form of victimization, and addressing it as a “conflict” downplays the negative behavior and the seriousness of the effects. Educators should strive to send the message that “no one deserves to be bullied,” and to let the bully know the behavior is wholly inappropriate. Do not use peer mediation. It can be very upsetting for a child who has been bullied to face his or her tormentor in mediation. Giving both parties an equal voice can empower the bully and make the bullied student feel worse. In addition, there is no evidence that peer mediation is effective in stopping bullying. Do not use group treatment for bullies. Some schools use therapeutic strategies such as anger management, skill-building, empathy-building and self-esteem building to reach the bully. In practice, group members can actually reinforce each others’ bullying and antisocial behavior. Bullying is a major problem all over the world, and affects people of all ages (even adults). Bullying can have long-lasting physical, emotional, and psychological effects. It’s important to catch it as soon as you spot it, and work with parents, other teachers, and the students to STOP it! If you have any tips or stories to share, please post in the comments!